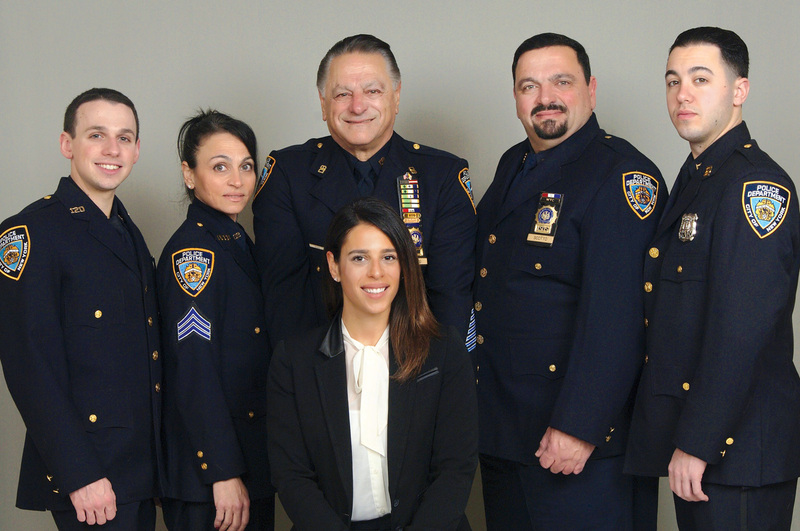 The Real Blue Bloods of the NYPD gather for a Christmas photo — the Tom Scotto family. Tommy is a veteran NYPD detective and served for many years as the president of the NYC Detectives Endowment Association (DEA) and the National Association of Police Organizations (NAPO). From left to right: Kyle Erickson (grandson), Dianna Scotto Erickson (Mom of Kyle), grandpa Thomas Scotto, son John Scotto, grandson Kristopher Erickson (Kyle’s brother). In the middle is daughter Melanie Scotto, a lawyer.